At my bi-weekly trip to Trader Joe’s, I found my favorite type of green beans, haricot verts, available. I thought I would stir fry them with the asparagus that I already had at home. So when I got home, I decided to season the vegetables with some sesame chili oil for a little heat and orange vest and juice for a little sweetness. 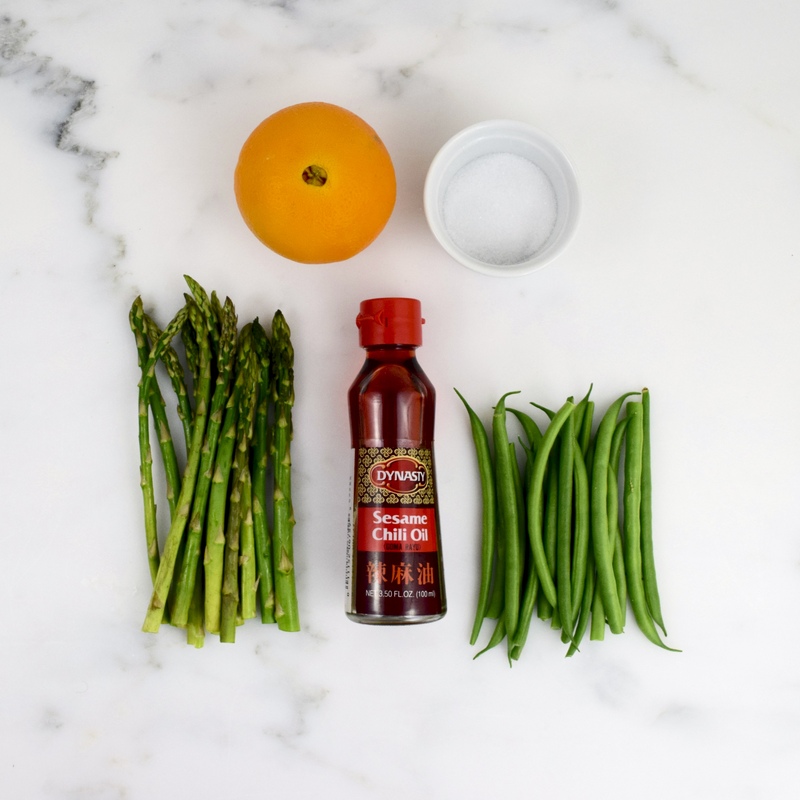 This simple and healthy side dish would go great with chicken or shrimp! 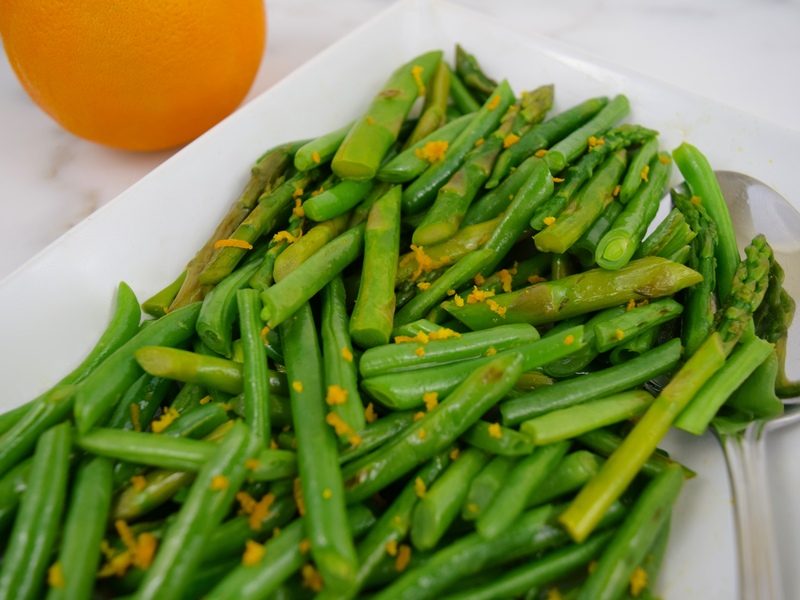 Using a medium pot, steam the green beans and asparagus for 2 to 3 minutes, until they are al dente. In a medium-large non-stick frying pan, heat canola and sesame chili oils. Add the vegetables and sauté until they are heated through. Add salt to taste. 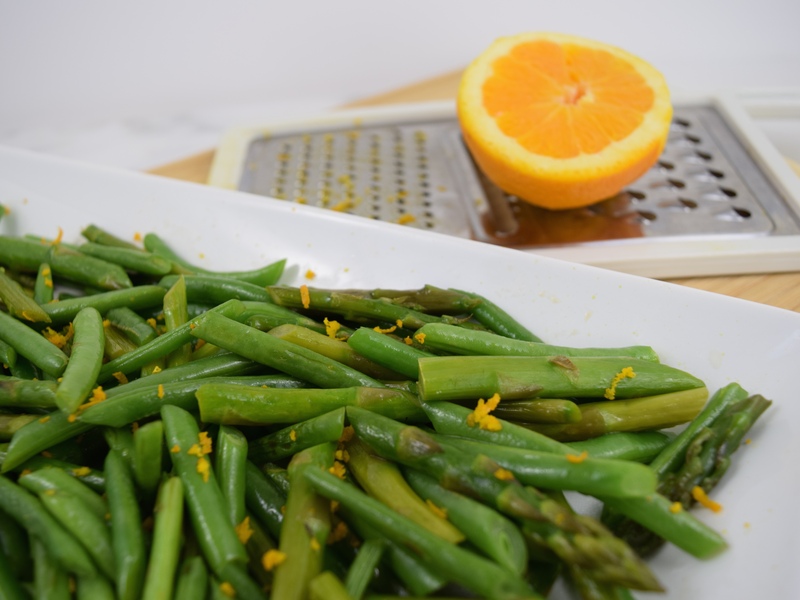 Transfer to serving dish, drizzle with orange juice and sprinkle with orange zest. Serve immediately. 4 servings.